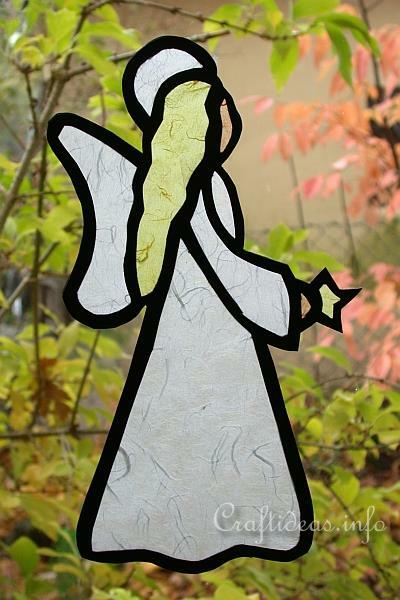 This transparent angel looks lovely in her white attire and looks like a stained glass decoration. All you need to complete this project is paper and glue. 1. 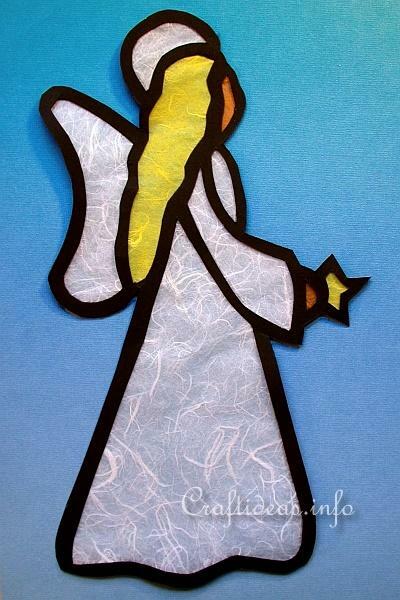 Print out the angel template and glue it to the wrong side of a sheet of black construction paper. Place the sheet of black paper on a second sheet and paper clip these together. 2. 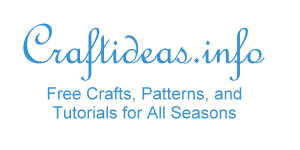 Using a craft knife, cut out the areas between the lines. You will be cutting through all layers of paper. 3. Once the pattern is cut out, place one of the black cutouts aside. You will need this once finished. 4. Take the cutout with the glued on template. You will be working on that side. Start to cover the inside areas by placing a sheet of fiber paper over a particular area and trace around the shape using a pencil. Trace onto the outline around the area to allow for gluing. Cut out the traced shape and glue it then onto the area to be filled. 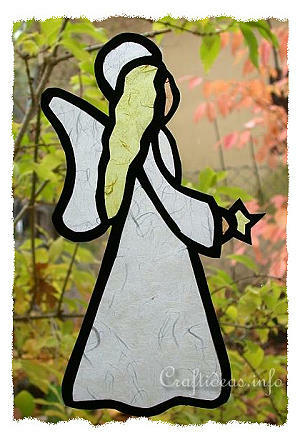 Continue with all of the empty areas until the angel is completely covered. Now glue the second black cutout over the now finished side of the angel to cover the glued on paper. Now the decoration looks good from both sides.